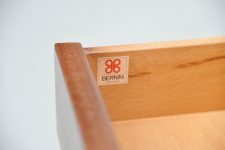 Very nice small drawer cabinet designed by Gianfranco Frattini and manufactured by Bernini, Italy 1957. 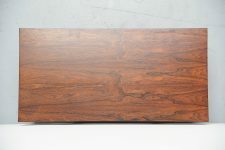 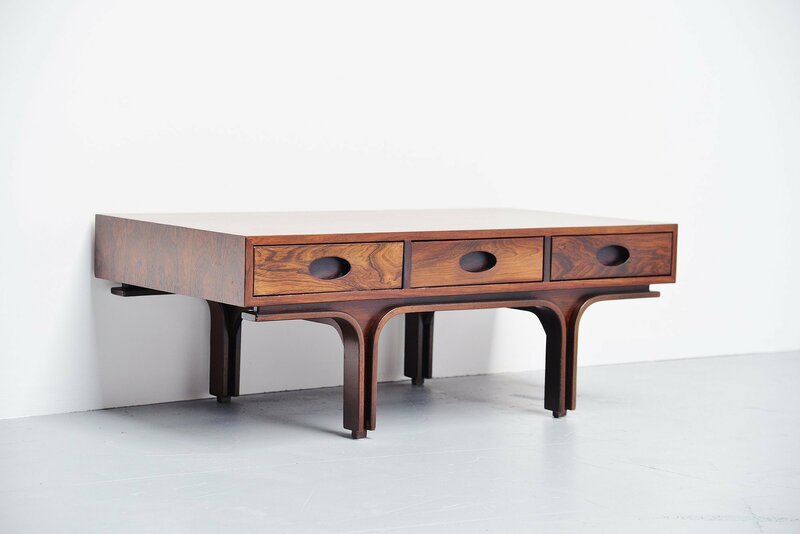 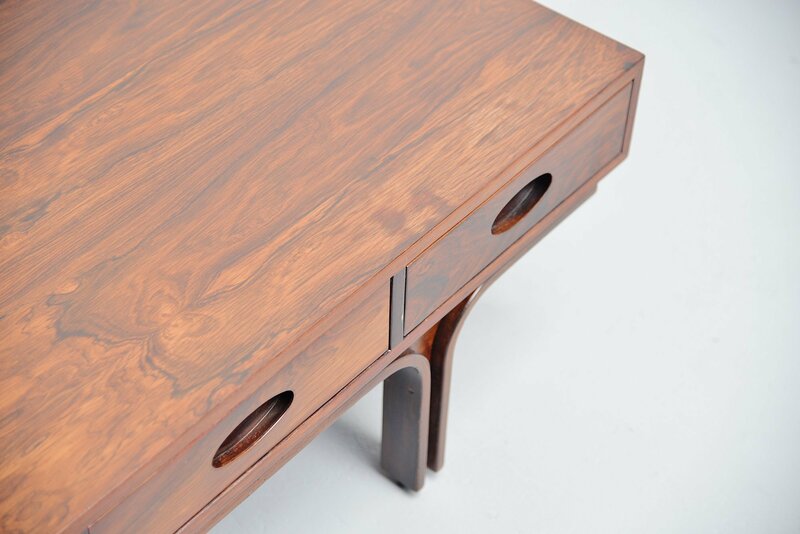 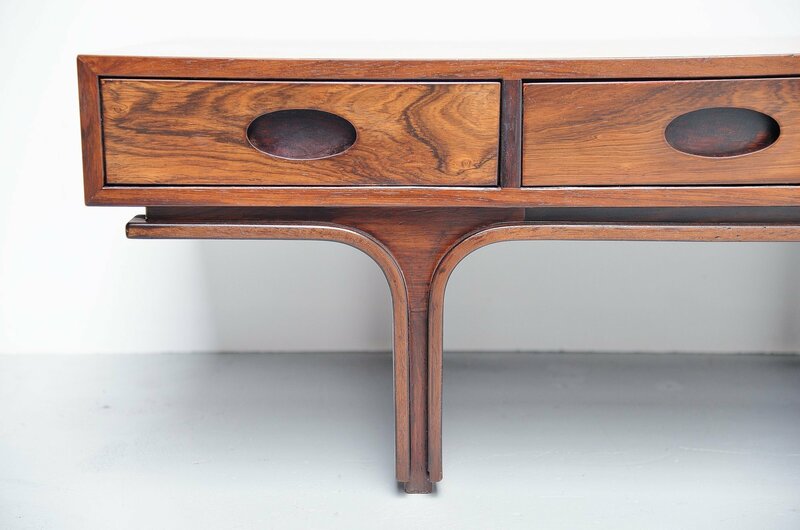 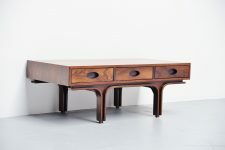 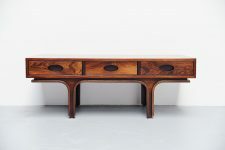 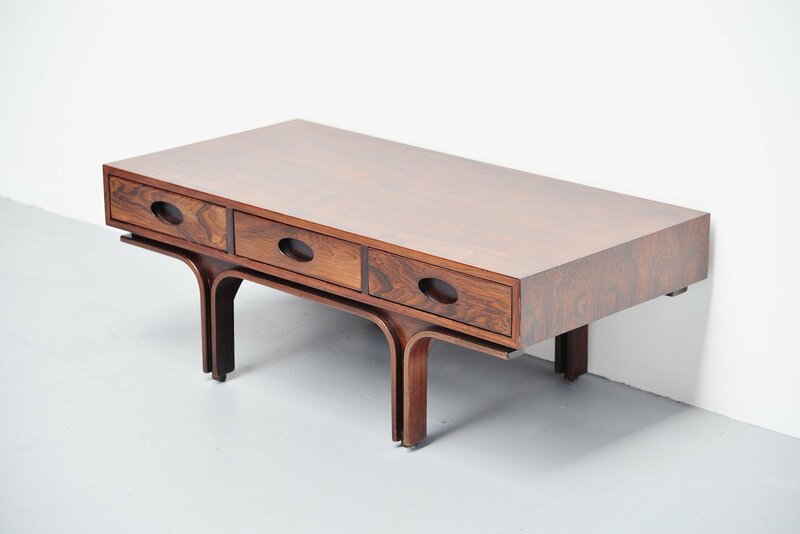 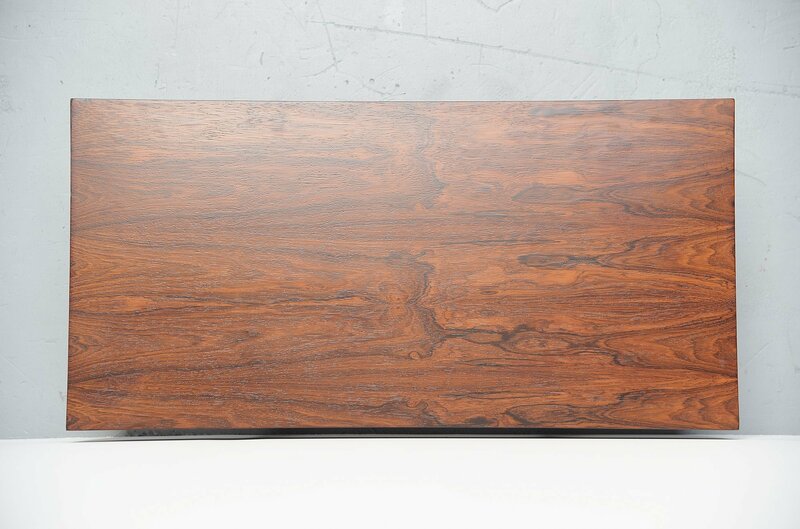 This lovely small drawer cabinet is made of rosewood and has an amazing grain to the veneer. 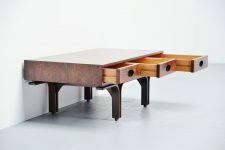 It is fully refinished and in excellent condition. 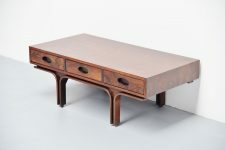 The drawer cabinet has 3 drawers and this could be used as TV table for example. 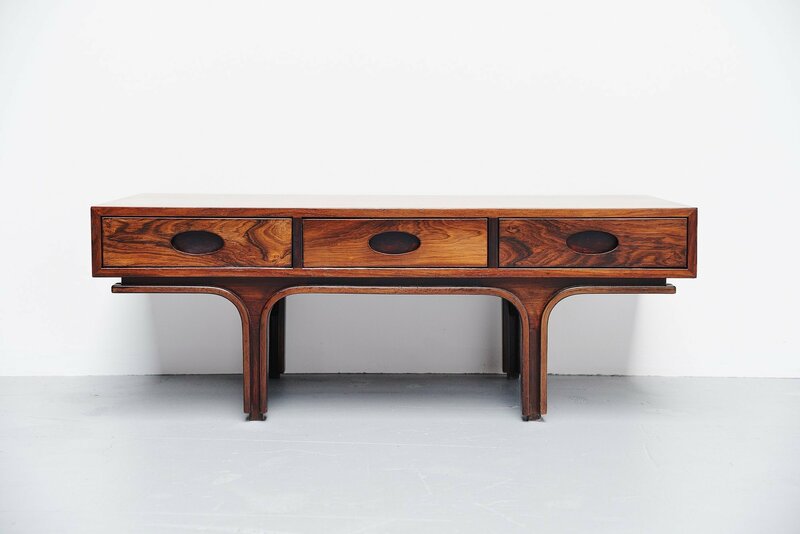 Very nicely shaped high quality cabinet, finished all around so can also be placed in the middle of a space. Marked with the Bernini sticker on the inside of the drawer.